Bankruptcy Information | Who Decides About Reaffirming a Mortgage? 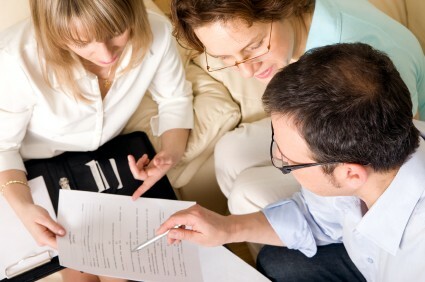 Who Decides About Reaffirming a Mortgage? Home > Chapter 7 Bankruptcy > Who Decides About Reaffirming a Mortgage? 14 Nov Who Decides About Reaffirming a Mortgage? Much has been written on this blog about “reaffirmation” – the process by which a Chapter 7 debtor formally and in writing agrees to opt out of the protections inherent to a bankruptcy discharge and assume again contractual liability for secured (or unsecured) debts like mortgages and vehicle loans. Hi Jonathan- I have enjoyed your writings. We are currently in a chapter 7- 341 set for 12/3. My attorney is very firm that we should not reaffirm 1st mortgage. We are current up to date, etc..is this my decision or hers? If I decide to reaffirm, will she have to sign the reaff as well? Will our difference of opinion on Mortgage Reaffs effect my case? Here are my thoughts: First, I think that you should sit down with your lawyer to discuss why she is so adamant about not reaffirming. She may have a very good and appropriate reason for her hesitation. I do know some lawyers who discourage reaffirmation – especially if there is negative equity in the collateral – because the bankruptcy discharge serves to eliminate personal liability. Therefore, if two or three years from now you cannot make your payments, you are not going to be at risk of personal liability arising from a suit on a promissory note. On the other hand, not reaffirming a mortgage means that you do not get the benefit of timely payments on your credit reports. You may also want to take a look at a post I published on my Atlanta bankruptcy blog about mortgage reaffirmations in bankruptcy. As long as your are represented, your lawyer will have to certify in writing that she has reviewed your budget and that she believes reaffirmation is within your budget and that it is advisable. If your lawyer is unable or unwilling to make these assertions, you are at an impasse and your lawyer needs to either withdraw or your lawyer can arrange for you to appear before the judge assigned to your case about the reaffirmation issue only. As far as whether your decision to reaffirm or not will affect your case, I think that the major effect will be on your life post-bankruptcy. As discussed above, if you reaffirm and remain current , you will rebuild your credit and recover more quickly from bankruptcy. If you do not reaffirm you won’t get the credit report boost but you will have less risk in terms of personal liability on a large promissory note.